and classrooms as televisions. Students are working on computers at an early age and software and online games are abundant. Read below to consider your objectives, preparations and rules before you put children in front of a computer. Before your first grade students use the computers independently, decide what objectives you have. Also review your school’s technology course of study if one is available. Does the school require that parents sign a permission slip for their children to play Internet games? If not, to avoid problems, it is a good idea to have permission. 1. Students will respect the technology by practicing responsible use of the computer. 2. Students will begin and end their use of the computer appropriately. 2. Students will correctly use the names of the parts such as mouse, monitor, headset, printer, etc. 3. 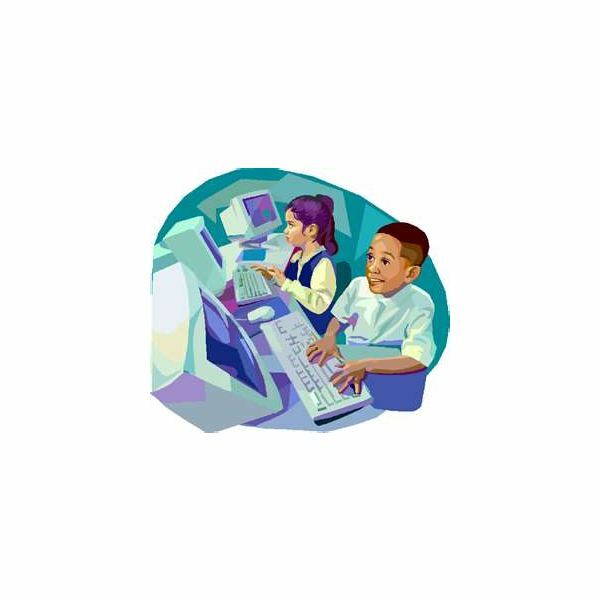 Students will practice the use of the mouse and keyboard using age-appropriate activities. 4. Students will work quietly on the assigned task. Computers are effective to use while the teacher is working with a smaller group of students. Let’s say that the teacher has one-third of the students in a reading group. One-third of the class is working at their seats on an assignment. The last third of the class could be working at the computers on a specific task in pairs or individually. If there are not enough computers to do this, use a timer. The timer is set to indicate that it is time to rotate students from work at the desks to the computer activity. It is important to explain the task to the students. Gather students around to show them what they will be doing, how to turn the program off and on and if there are any other specific rules. The better prepared they are, the less you will be interrupted with questions. You may have one or two students who are skilled at the computer task already. Designate those students to answer questions or concerns quietly while you continue to work with the reading group. Computers are also effective for differentiation. Those students who have mastered an objective can work on a computer task while you are helping the rest of the class. Write sentences using a prepared word list. Here is a wonderful Internet site for reading. It has plays, non-fiction, comics, fiction, Chinese fables, Greek myths and folk tales. The child can read independently or click the icon of an ear next to the text and actually hear the words as they are highlighted. Use headsets if available. There are stories about penguins, pumpkins, rainbows, the beach and more. ABCya! is another Internet site that has first grade computer activities. There are forty-four games, which include several to develop mouse skills; math: addition, subtraction, telling time, comparing numbers and number order; and pre-reading skills with the alphabet. This program has two discs and covers math, science, reading, language arts and American History. There are three levels of difficulty and a print section so that you can print off games and science experiments. Two teen hosts lead students through multi-subject activities. Three levels of activities keep it challenging. The creators of this software based skills on nationally recommended curriculum guidelines. Some of it is repetitive but it covers a great amount of skills for students who need the practice. First grade computer activities, when well planned, can certainly enhance learning in your classroom. Add time on the computer into your well-rounded lesson plan. Use specific tasks to complement a theme or lesson. Whenever possible, have students work in small groups of 2 or 3 students at the computer to develop social skills as they work. Here is a wonderful link that provides many age-appropriate WebQuests for your students. Remember to set or review the rules before students begin. These should be done in small groups so that students will develop social skills by working together.